Nephrology is the study of the function and diseases of the kidney. Nephrologists diagnose and treat kidney diseases including electrolyte disorders, and hypertension (high blood pressure), and provide care for people requiring renal replacement therapy , including dialysis therapy and renal(kidney) transplant. 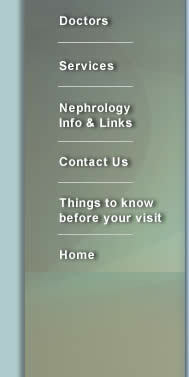 More information and resources can be found on the National Kidney Foundation Web site.